The last weeks of summer are slipping away, soon the snow will be back along with the cold weather. We are taking advantage of every minute we have outside to celebrate these last weeks by having little parties and get togethers with neighbors and friends before the first snow flurries start falling. I thought a Mexican themed party would be fun with Chicken Taco Grilled Wrap, Margaritas, Hummus and Queso dips with chips. I was trying to think outside the box and have a gathering that wasn’t just another BBQ or picnic but maybe something a little zesty and fun. I love wraps because they’re so easy to make so put together a new version, Chicken Taco Grilled Wrap with Hummus and used some delicious Pacific Food Organic Hummus. 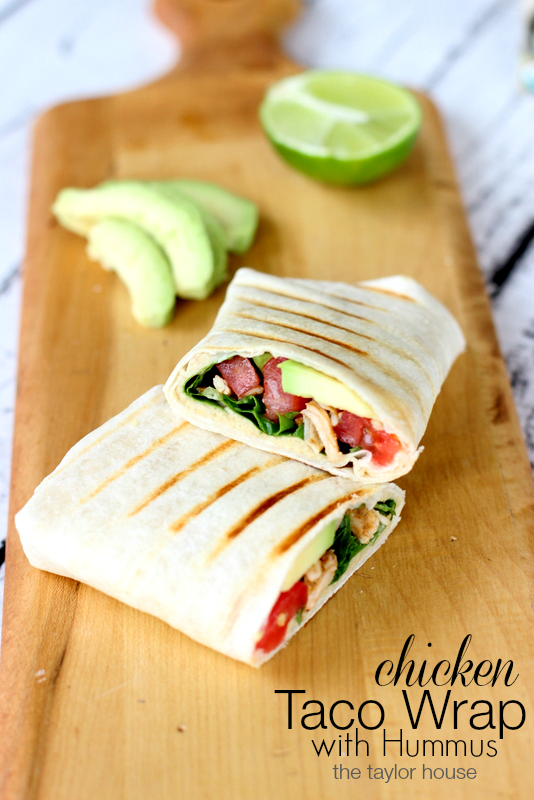 The recipe for my Chicken Taco Grilled Wrap is over at The Taylor House. You can find how simple it is to make there along with tons more recipe ideas!